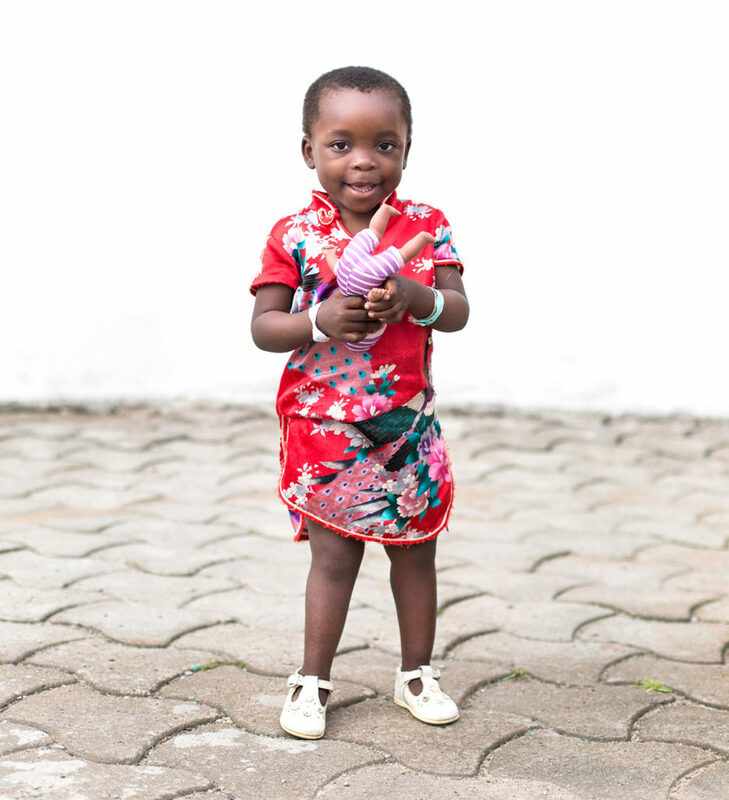 Cecilia’s father, Emmanuel, brought his daughter to Mercy Ships in search of a miracle Cecilia is one of the first patients we treated in Cameroon. 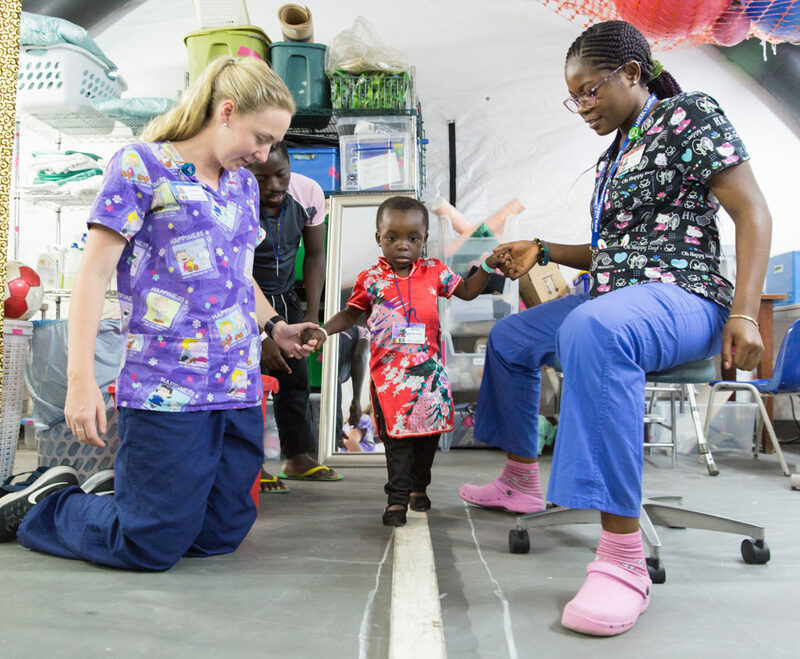 When little Cecilia was born, her legs seemed normal. 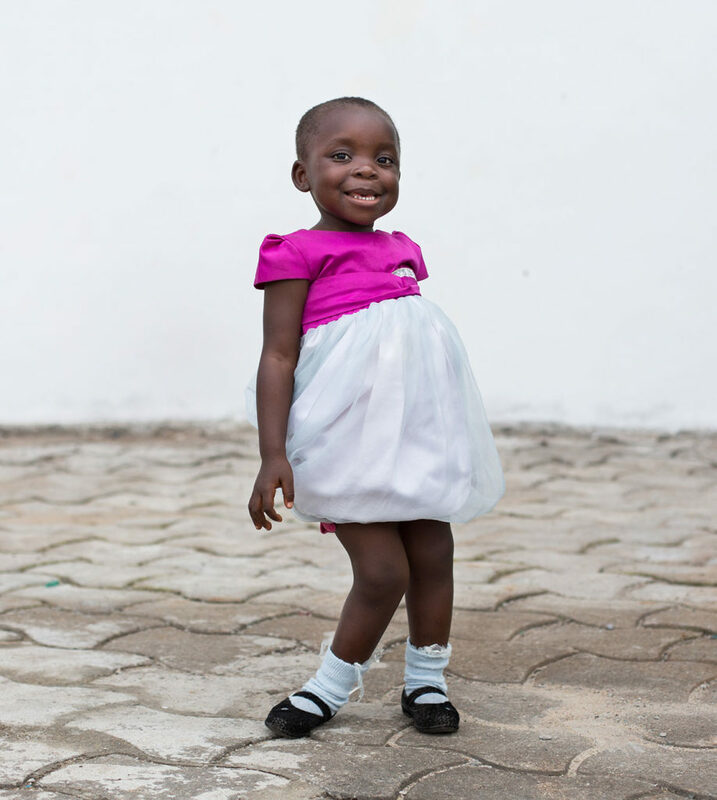 But as she grew, she was diagnosed with knock knees – a condition that causes the knees to angle together, and makes it nearly impossible for the legs to stay straight. It can cause serious pain, and walking gets harder and harder. 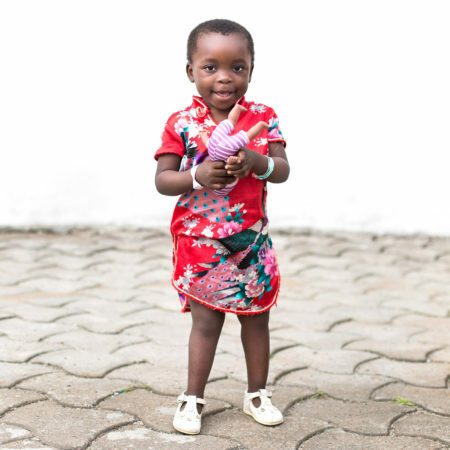 Cecilia’s parents watched their bright-eyed child grow – and her knock knee worsen. Owing to the lack of orthopaedic surgeons in Cameroon, they had no idea where to turn for help. 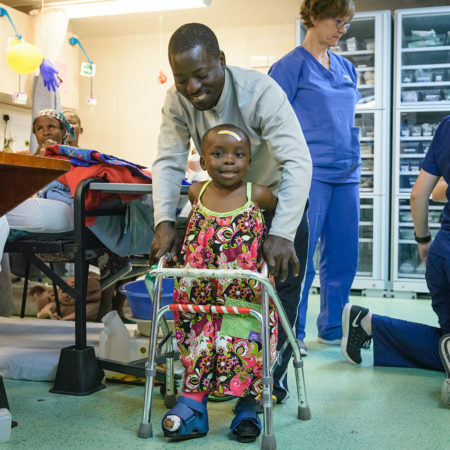 Cecilia’s father, Emmanuel, brought his daughter to Mercy Ships in search of a miracle. They left behind Cecilia’s mother and brother in the hope that when they were reunited, Cecilia’s legs would be straight and her future brighter. 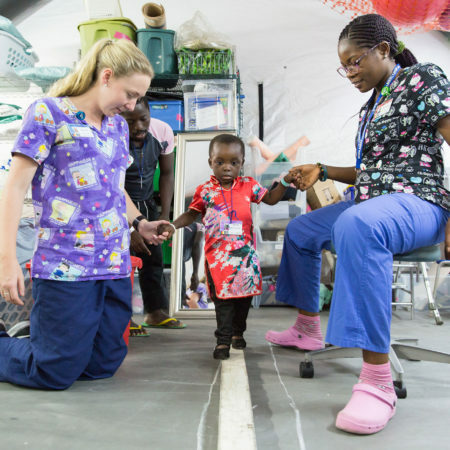 The family had spent over a year waiting for a surgery that took little over an hour on the Africa Mercy. 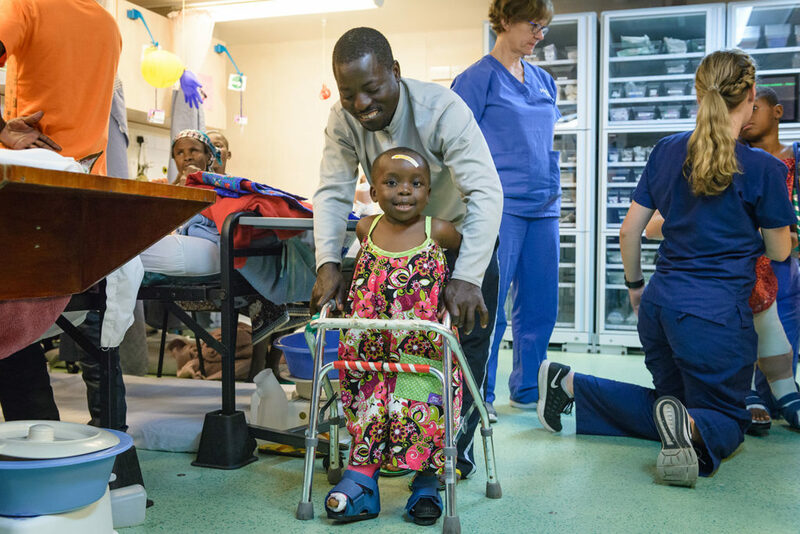 And not long after her operation, brave Cecilia took her first steps with her miniature walker. Six weeks later, her cast was removed. When the time came for Cecilia and Emmanuel to go home, the volunteer team sent them on their way with singing and dancing. Now, thanks to your support, Cecilia can step forward into a life bursting with possibilities. Give a gift today to transform more lives like Cecilia’s.